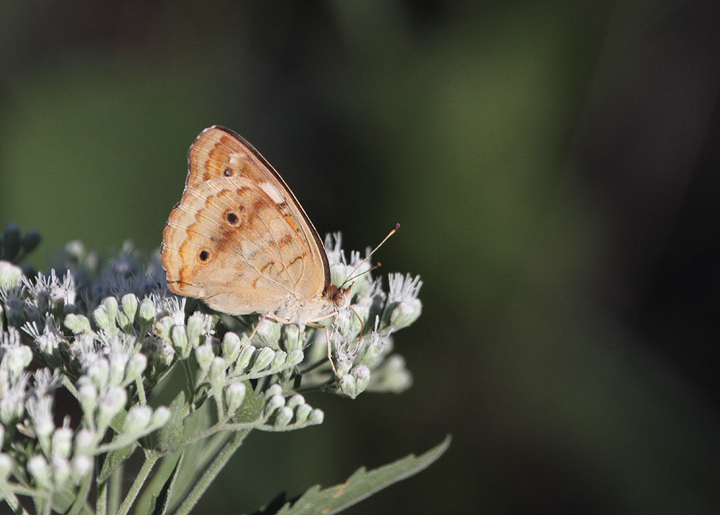 Mid-September in Maryland. 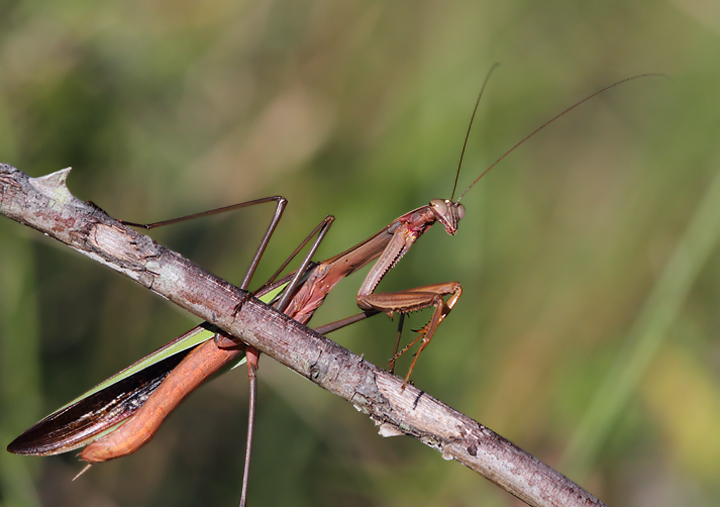 Last updated: 9/20/2010. 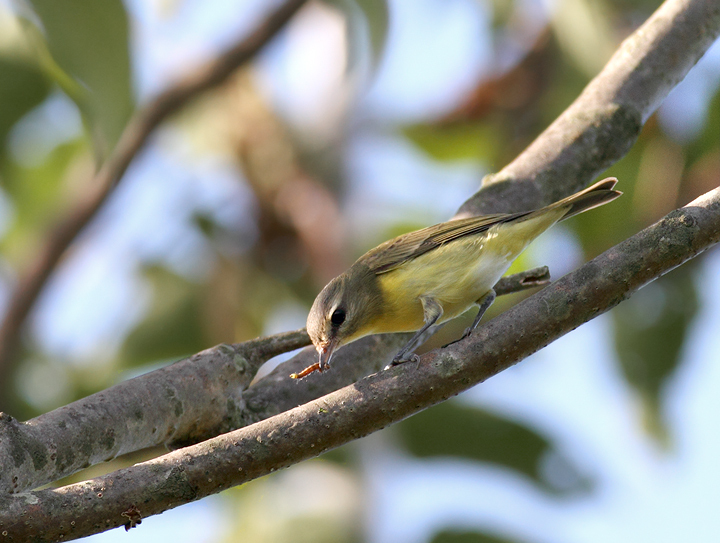 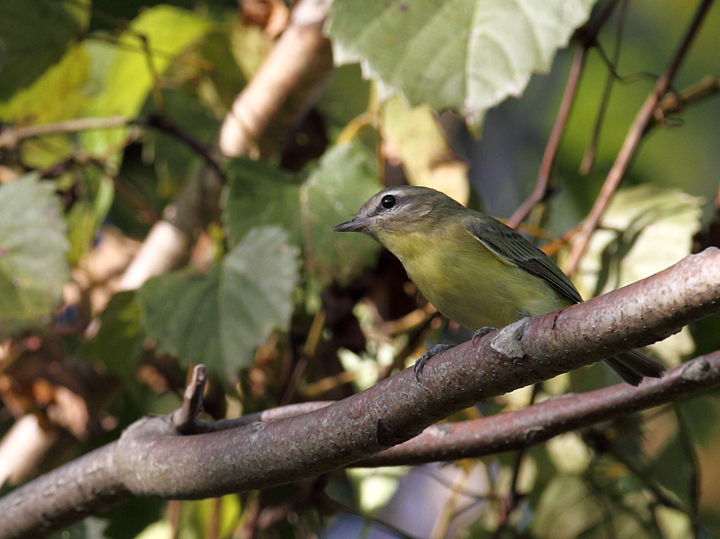 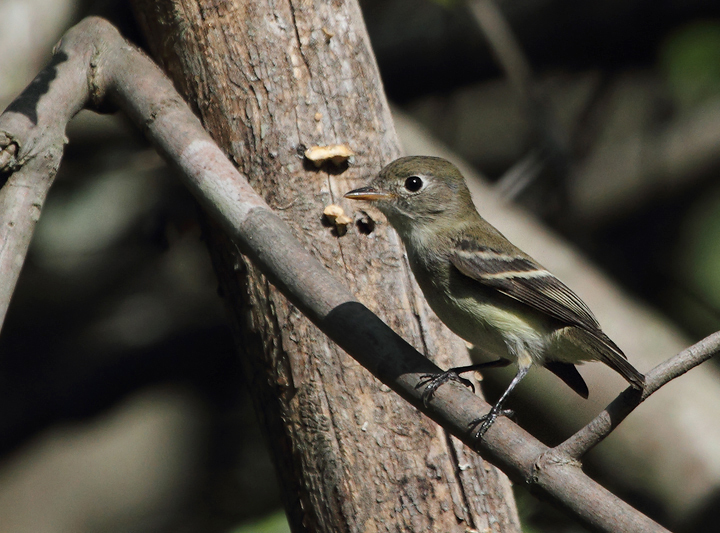 Above and below: A Philadelphia Vireo in Howard Co., Maryland (9/19/2010). 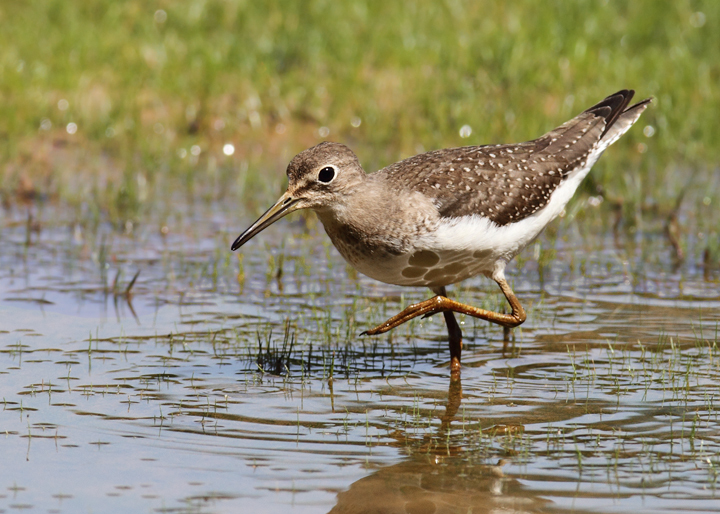 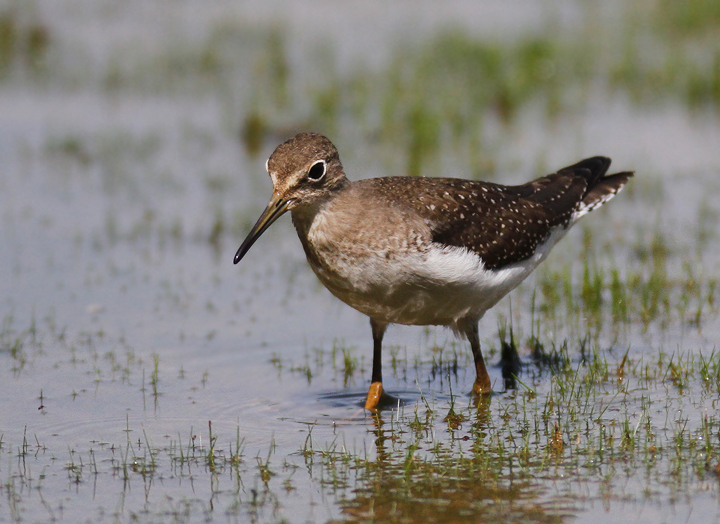 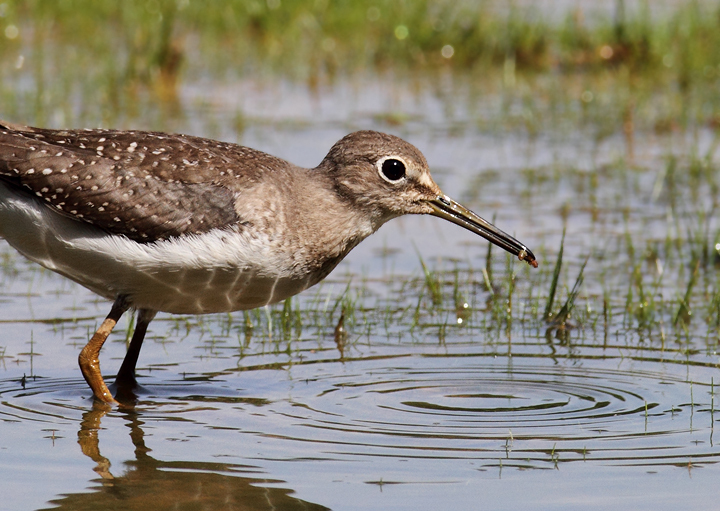 Below: A juvenile Solitary Sandpiper at Triadelphia Reservoir, Montgomery Co., Maryland (9/19/2010). 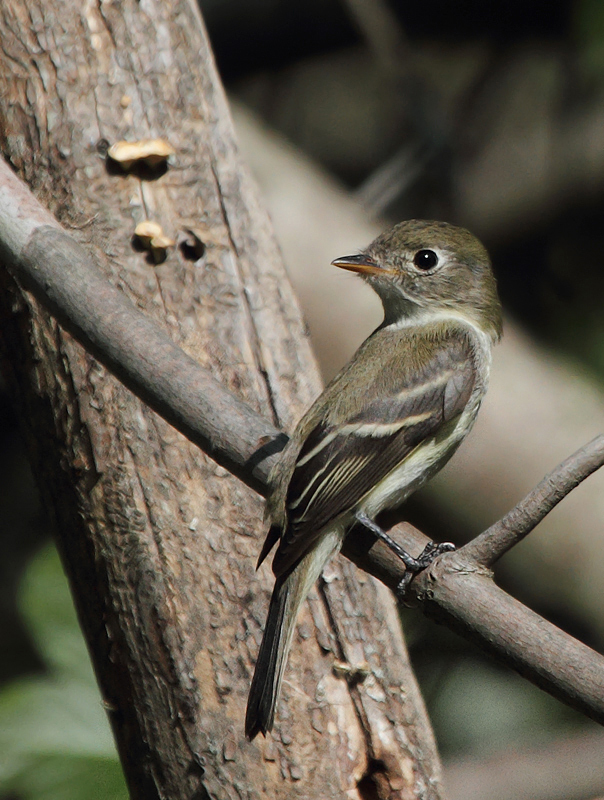 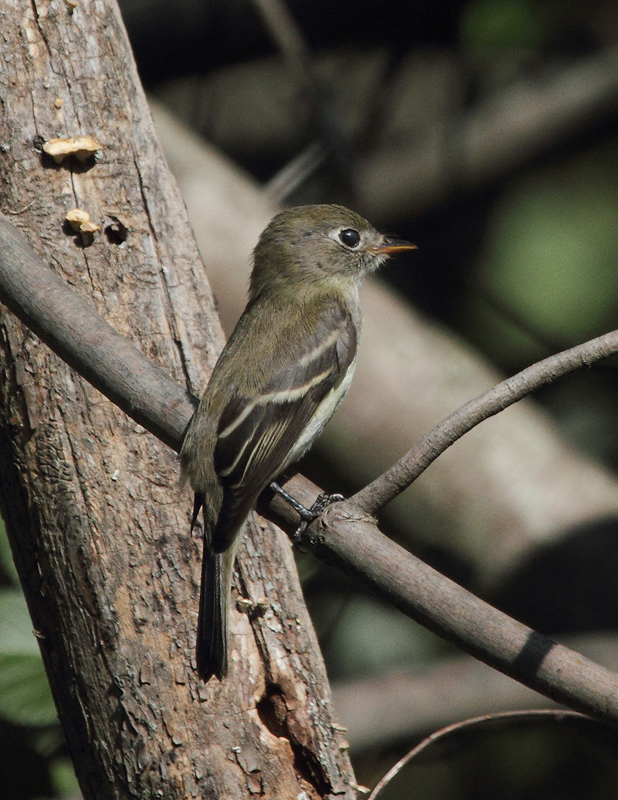 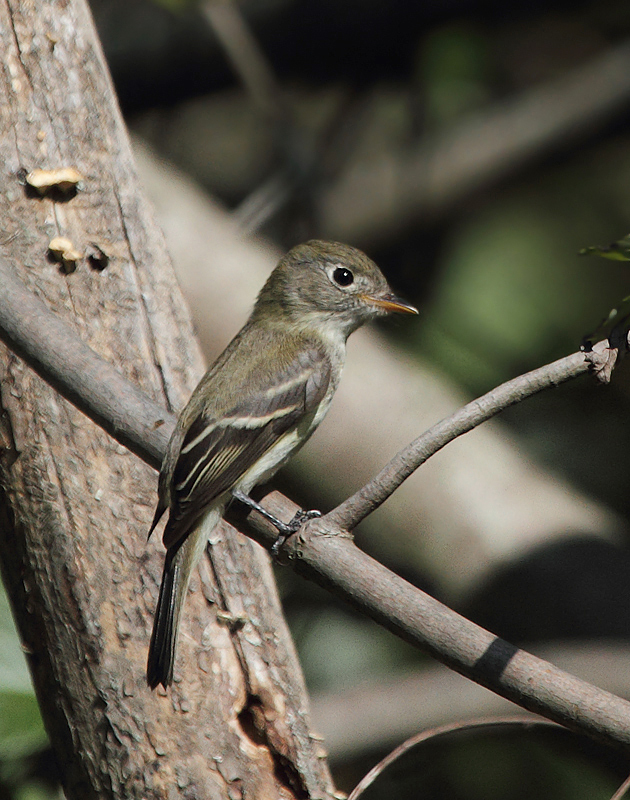 Below: A Least Flycatcher in Anne Arundel Co., Maryland (9/15/2010). 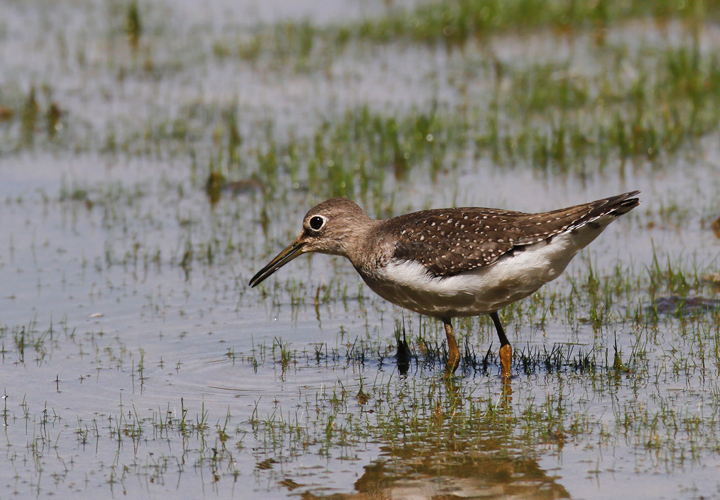 Below: Buff-breasted Sandpipers in Worcester Co., Maryland (9/11/2010). 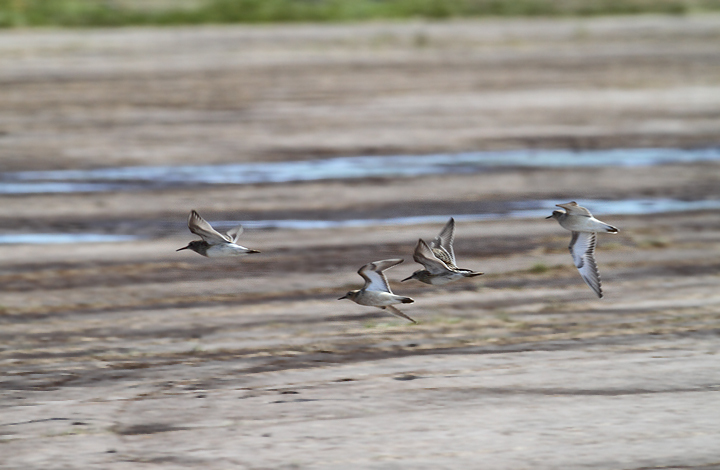 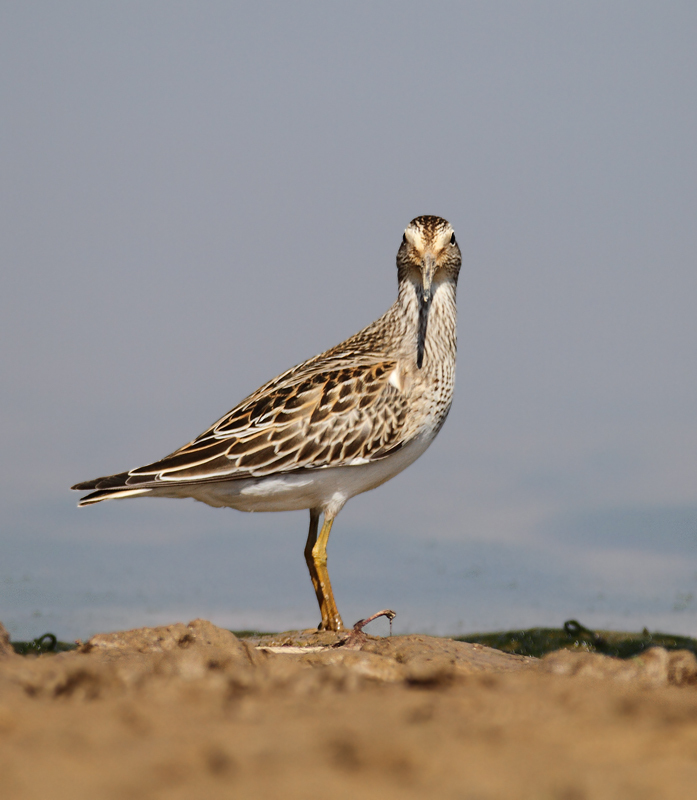 Below: In flight with two Pectoral Sandpipers. 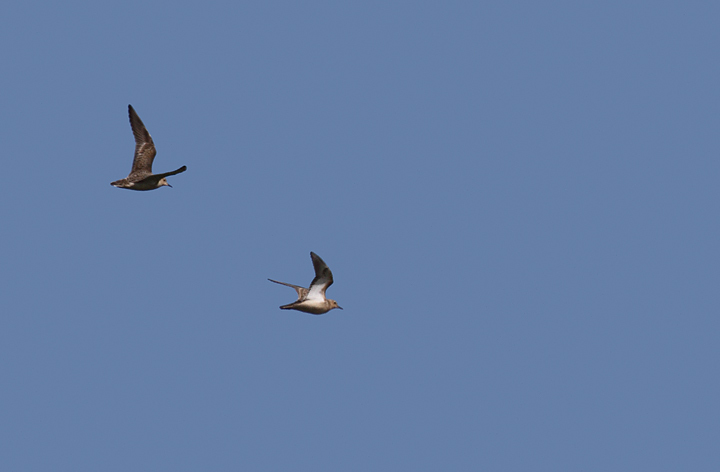 The Buffies are the second and fourth birds from the left. 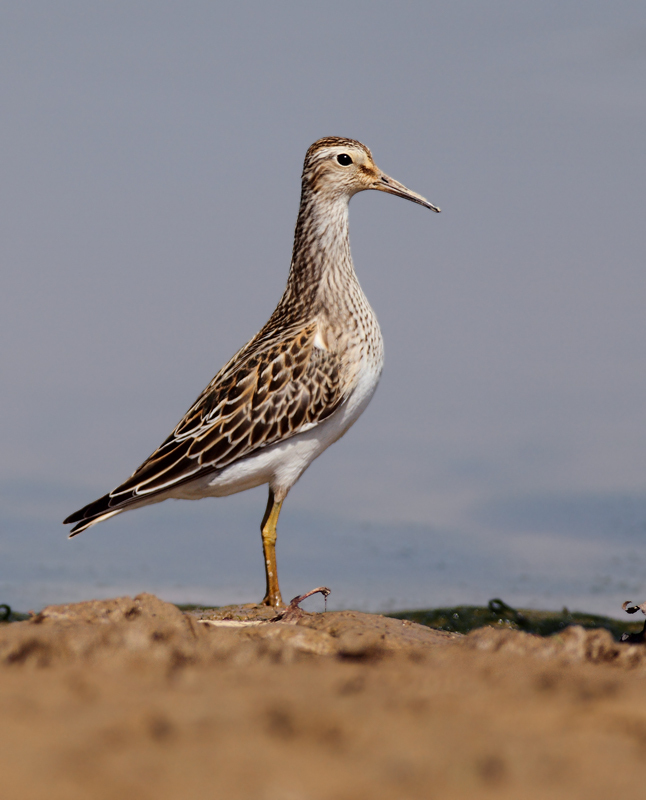 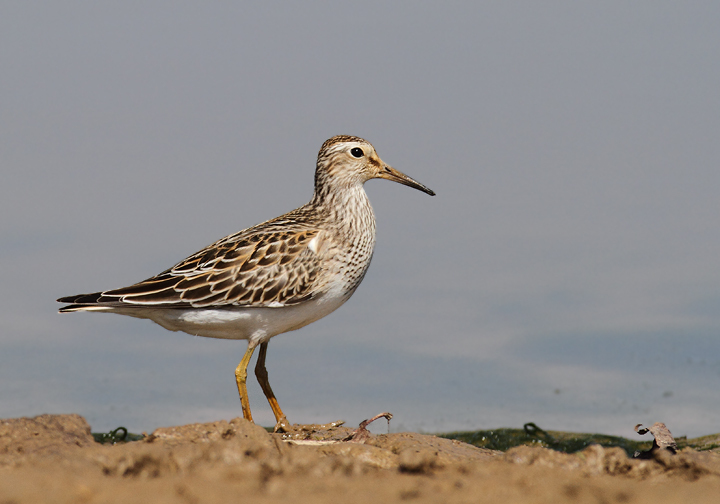 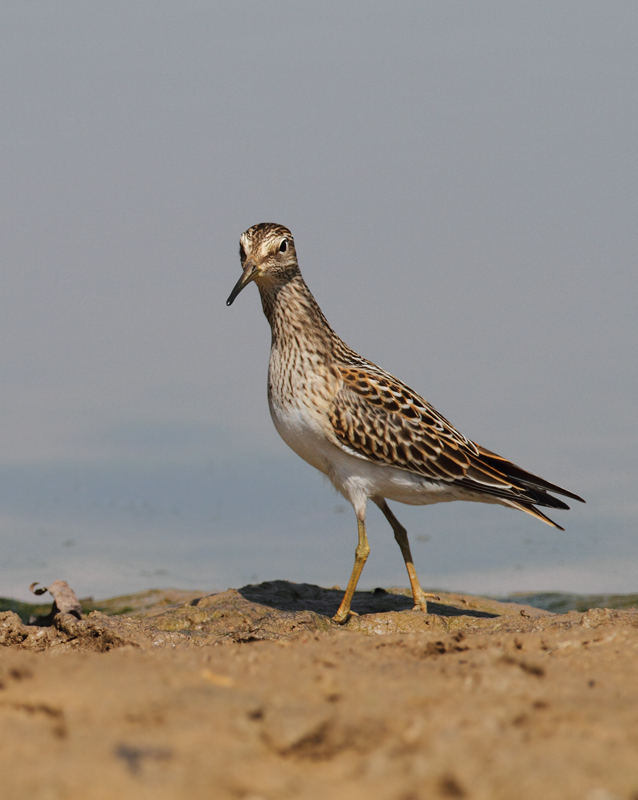 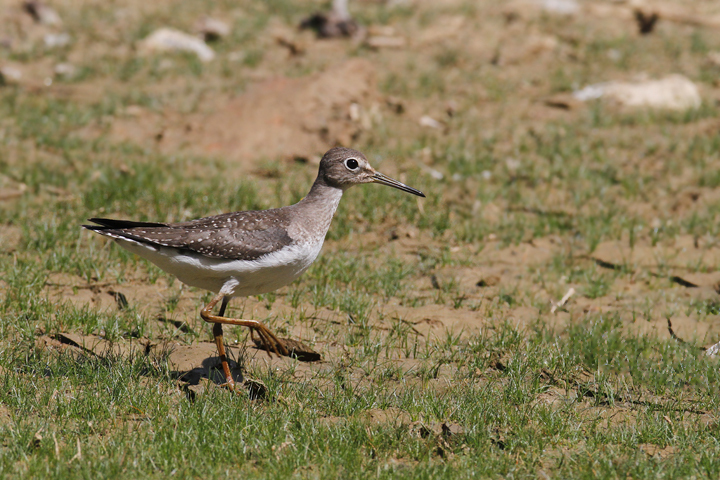 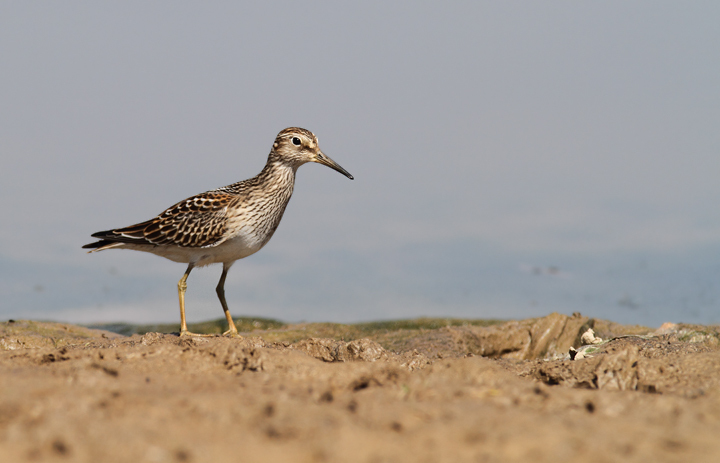 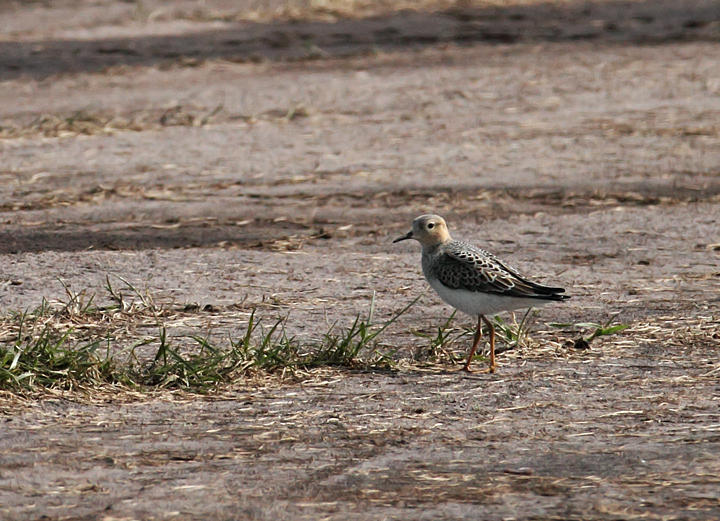 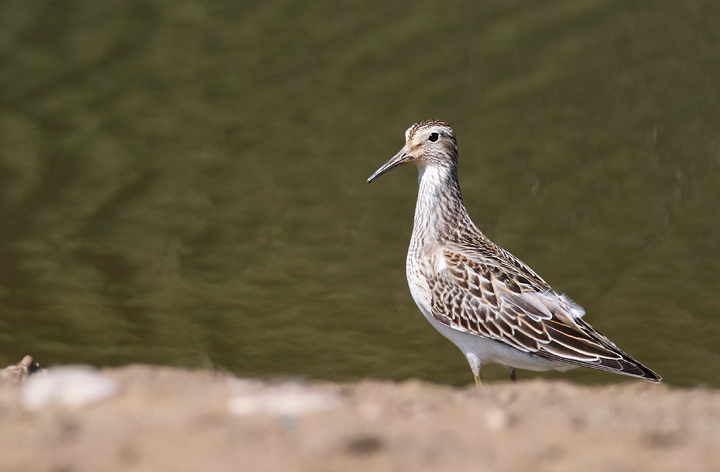 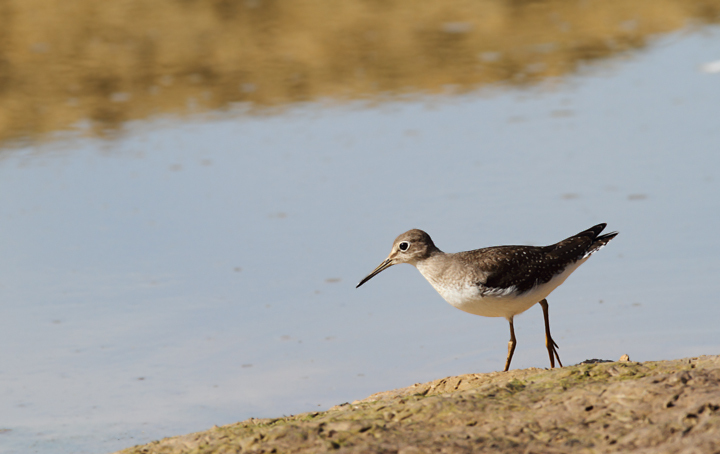 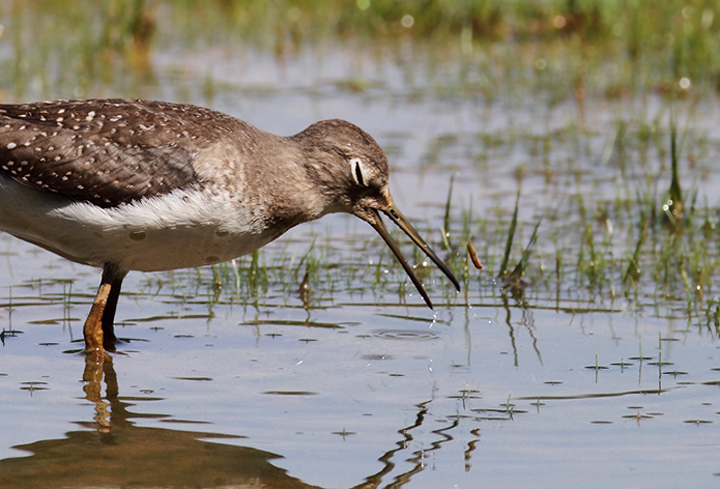 In second image, both are Buff-breasted Sandpipers. 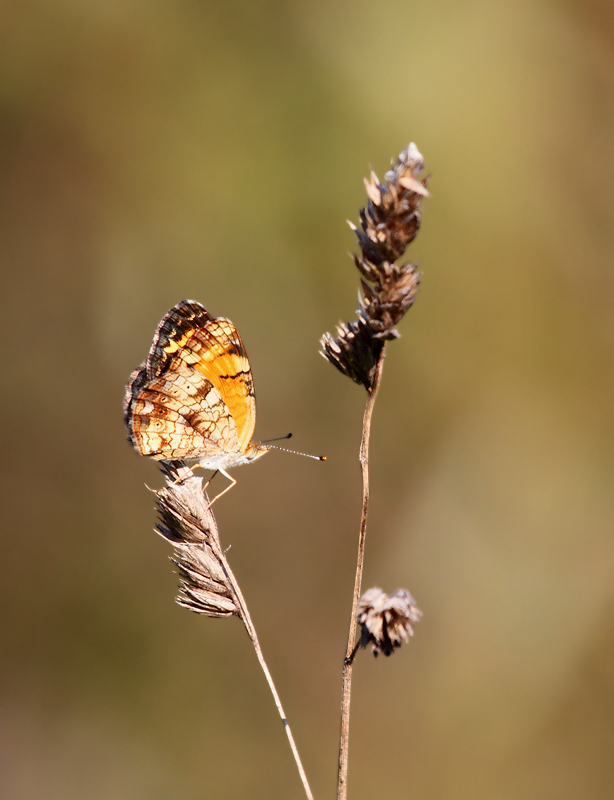 Below: The less familiar side of the abundant Pearl Crescent - Anne Arundel Co., Maryland (9/15/2010). 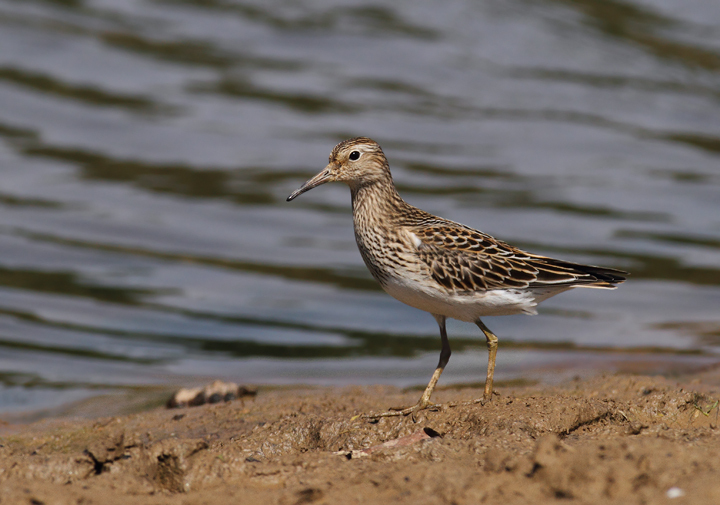 Below: Pectoral Sandpipers at Triadelphia Reservoir, Montgomery Co., Maryland (9/19/2010). 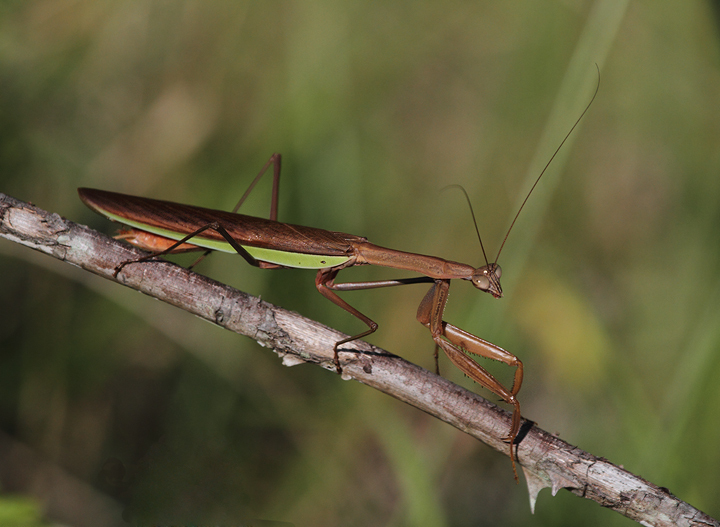 Below: A large Chinese Mantis in Anne Arundel Co., Maryland (9/15/2010). 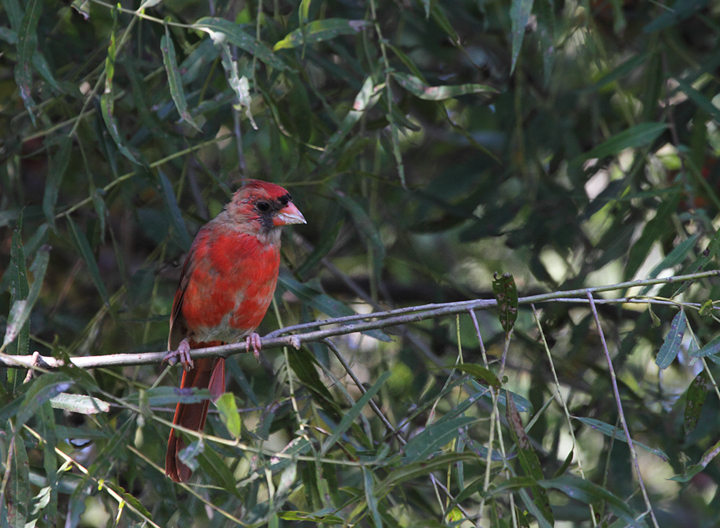 Below: A molting male Northern Cardinal in Anne Arundel Co., Maryland (9/15/2010). 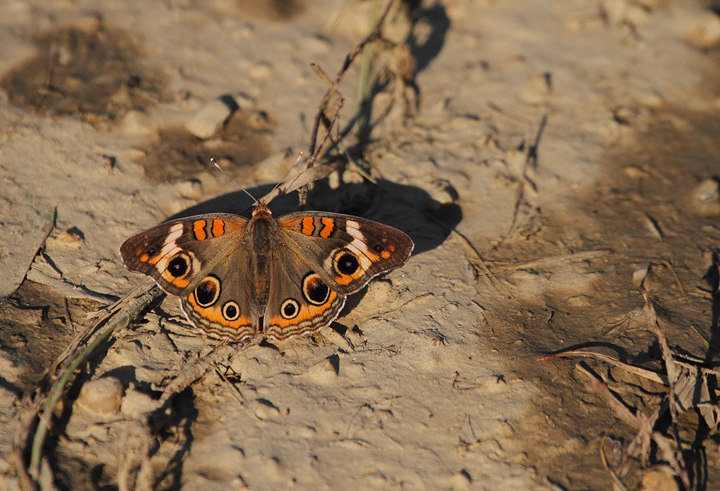 Below: Common Buckeyes in Anne Arundel and Queen Anne's Counties, Maryland (9/15 and 9/8, respectively). 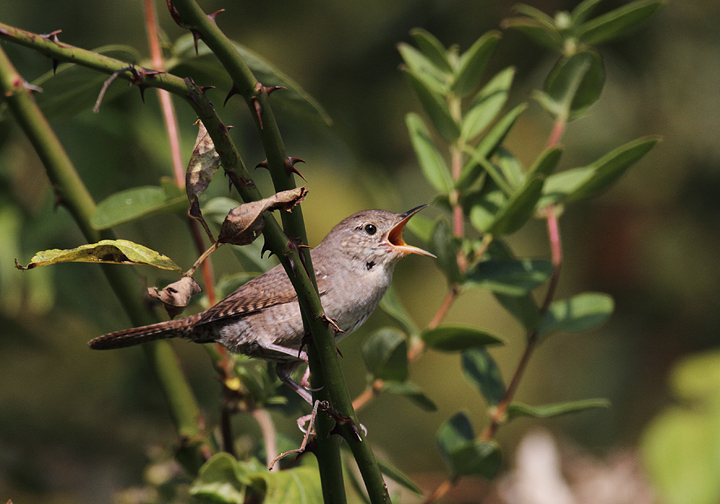 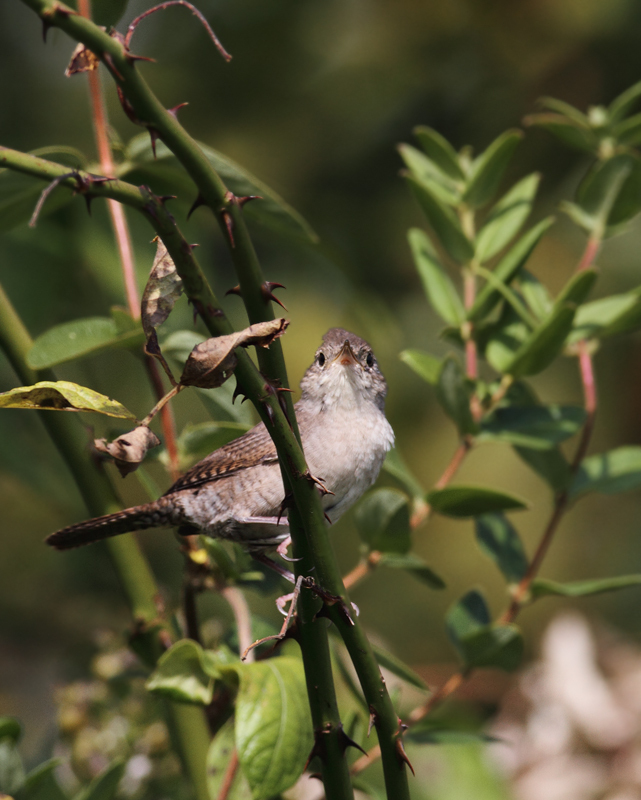 Below: A House Wren at Schooley Mill Park, Howard Co., Maryland (9/19/2010). 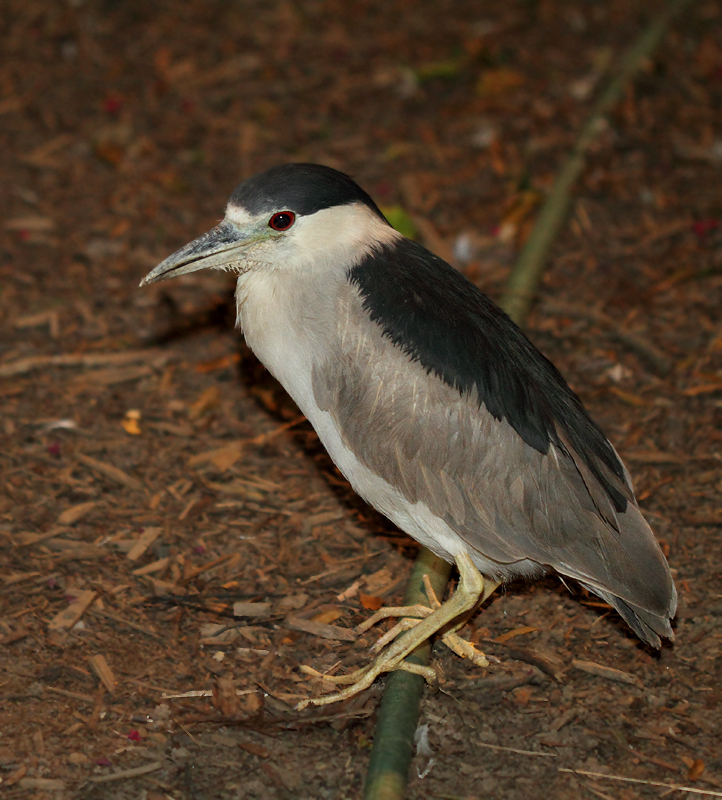 Below: An adult Black-crowned Night-Heron under skilled care in Pasadena, Maryland (9/20/2010). 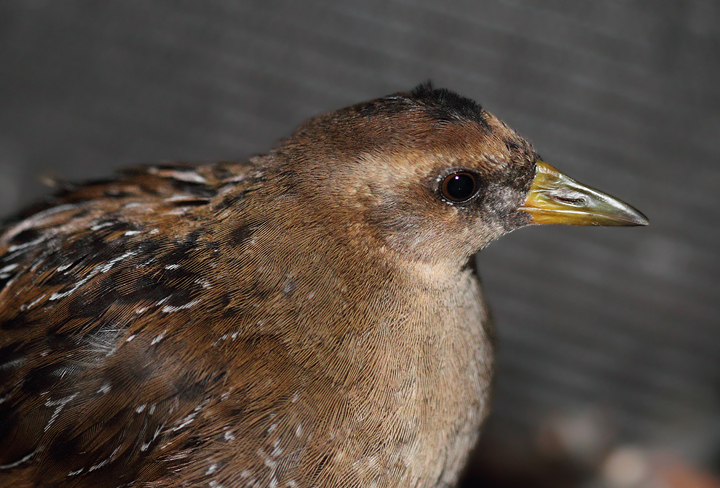 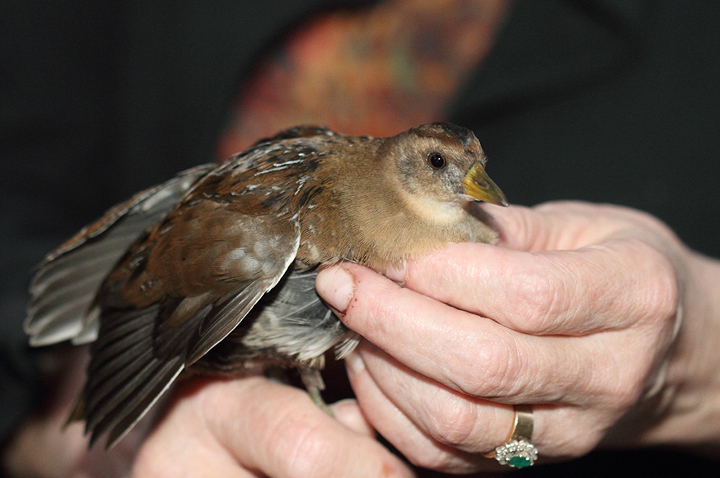 Below: A juvenile Sora that walked into a real estate office in Elkridge, Maryland (9/20/2010). 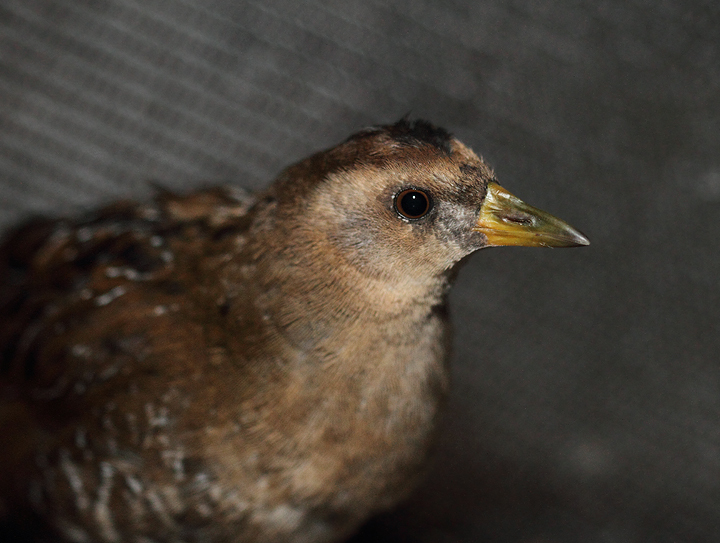 It was checked out for a couple days and should be safely released as of this writing.